REMEMBRANCE. 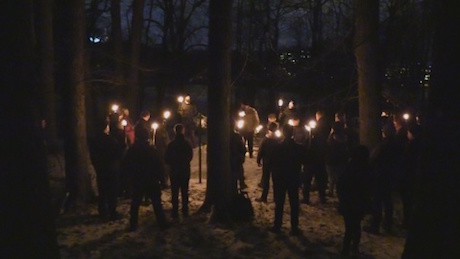 On 13 February – the anniversary of the Allies’ terror bombing of Dresden – a remembrance ceremony organised by the Dresden Committee took place at a memorial park in central Stockholm. Nest 1 was invited and sent a delegation to attend the proceedings. After gathering at a nearby station, the participants went together to the site of the memorial. 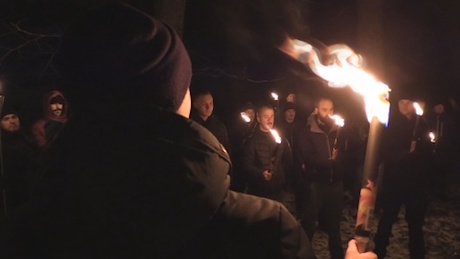 Once there, candles were lit and torches were handed out to the participants. The event’s organiser began by saying a few words about why they had gathered there. 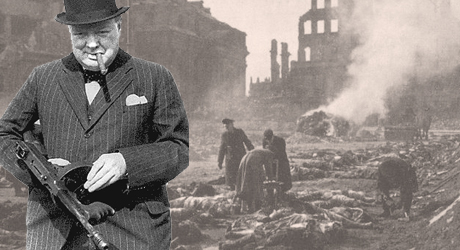 He spoke of the importance of remembering the civilians who lost their lives in the Allies’ terror campaign against the German people, stating that if we don’t do it, nobody one else will. the burned, drowned and unborn. the wrath of smiling tyrants. and topple down the fool. The memorial was then brought to a close. May we never forget the victims of the conquering Allies’ terror.